On today's WOMEN OF GRACE host Johnnette welcomes Father John Paul Mary. Fr. John Paul share how we should prepare for the Easter Season by first going to confession. 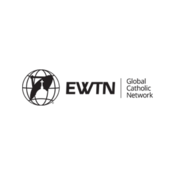 On today's WOMEN OF GRACE host Johnnette welcomes Colin Donovan- Vice President of Theology at EWTN. Colin shares how we should start out our Holy Week.